On 24 February 2019 the remainder of a number of IP legislation improvements under the Intellectual Property Laws Amendment (Productivity Commission Response Part 1 and Other Measures) Act 2018 will come into force. 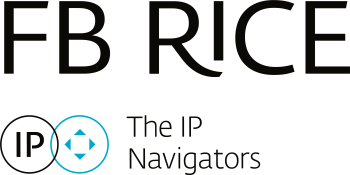 The amendments are designed to streamline the administration of Australia’s IP system. For trade mark owners, as of 24 February 2019, an amendment to section 93 of the Trade Marks Act 1995 (the Act) reduces the grace period for which a trade mark will become vulnerable to removal or partial removal (limitation) for non-use. It should be noted that this applies to trade marks filed from 24 February 2019 onwards and is not retrospective. Prior to this amendment, section 93(2) of the Act stipulated that a non-use action under section 92(4)(b) could only be filed when a trade mark had been on the Register for a period of five years from the filing date, and not been in use for all of the goods or services covered by the registration for a continuous period of three years prior to the filing of the non-use application. The five year requirement has now been amended so that a registered mark will become vulnerable to attack after three years. However, rather than being calculated from the filing date (previously the deemed registration date), for trade mark owners, the clock will start ticking from the date the trade mark is entered on the Register as having obtained registration. As a trade mark rights holder may need to demonstrate use of a registered mark earlier than previously the case for those marks which are registered expeditiously, it is pertinent to consider the type of use and evidence required to defend a removal action in Australia. The use must also be of the trade mark as registered and without additions or alterations that substantially affect the identity of the mark. If a non-use action is filed in respect of all of the goods and/or services and the owner can only show use in respect of some goods or services then the registration may be maintained for the goods/services for which use can be demonstrated. The Registrar, however, has a discretion to allow a mark to remain on the Register even where use cannot be shown but public interest considerations apply, such as in the case of famous marks with residual reputation and use of another mark may result in confusion amongst consumers. The Act provides for rebuttal of a non-use action on the basis of circumstances that proved an obstacle to use but these are exceptional and should not be relied upon.